Water splashed up from dips in the sidewalk too shallow to be called puddles. Well, my new boots were ruined and I had no one to blame but myself. It wasn’t enough to make a dramatic exit, I had to do it in the middle of a rain storm. There was no turning back now. What would I even say? How would I explain myself? By the time I reached my destination, the rain had slowed to a cold drizzle. I stepped inside and waved my hand down my dress. With just a little magic I was dry. Maybe my mother could help with the boots. I looked around the bar that my family called home. More accurately, the sprawling three story townhouse upstairs. Apparently, even the most social drunks were fighting sobriety at home, tonight. The only patron in the place was the old man everyone affectionately, called the Young Oldman. There had been an Old Oldman, but that was before my time. Young was about 75. I had never been in Alistair and Co, and not seen him sitting in that spot. I nodded to him as I headed to the opposite end of the long counter. I ran my hand along the polished wood. The shiny 1916 pennies, embedded in the resin catching the light as I went. According to a plaque on the wall, the pennies had been found in a canvas sack under a floorboard when the bar had been remodeled in the 1970’s. A glass of white wine on a napkin automatically appeared, as I slid onto a stool. I looked up and smiled at the bartender. He smiled at me from his almost 7 feet. His dark eyes and dark skin showed his Egyptian heritage. I smiled back. The wind gusted as the door opened, letting in two young couples. They took one look at Oldman, then me hunched over my glass, finally to the 6’9” bald Egyptian, and headed to one of the tables. Robi went over to the poor guy elected to get the drinks. I ignored the bowl of peanuts and leaned over to grab the jar. Young Oldman banged his mug on the bar. The customer in front of him raised his eyebrows at the obscenity. My phone buzzed in my pocket. I’d left my apartment without my keys and wallet, but I remembered my phone. The voicemail beeped. This was the fourth call I’d gotten. I knew who it was. I just didn’t know what to say. Robi made his way back to me, in time to give me another wine. My sister was two years older than me and still trying to find herself. My parents were happy to indulge her, as long as, she worked. There was an expectation that she would someday take over the bar. I certainly didn’t want it. I stared at my drink. I sighed as the wind gusted. We both looked up. My heart skipped a beat as I saw the young woman standing in front of the now closed door. Jillian looked around, taking it all in. Her eyes landed on me. Oldman gave her a mocking salute with his glass, as she headed in my direction. I was quiet as she settled next to me. Why was she here? Robi had moved away but came over to get her order. We were both quiet as he put the wine in front of her. I said, “Thanks”, as she slid them across the bar to me. She was quiet as looked down at the pennies. Her hair fell, obscuring her face. She was so petite that her feet didn’t touch the footrest. Neither of us said anything, until Robi gestured for me to start. She looked up. Her cheeks reddened. She sighed, her brown eyes filled with tears. I’d been in love with Jillian from the first time we met. She was a party planner and been hired to help with the launch of a new artist. She was being too understanding. I had to tell her everything. I took a sip of my wine. I really didn’t like telling this story. There were parts of that evening that I hadn’t told anyone. I still wasn’t ready to talk about them, but Jill deserved as much of the truth as I was able to give. I looked around. The outsiders were gone. Jillian was quiet for a while. She sighed. I looked around to make sure we were alone. It took just a bit of concentration and a small cat was suddenly sitting next to me. Just as suddenly, Jill was sitting back on the stool. She blinked and looked around. I leaned over and kissed her. Those soft lips opened and I was lost in her. A throat cleared next and I paused to look at Robi. He looked up at the ceiling. I’d been so caught up that I’d missed hearing the elevator. I passed my hand down her front. She ran a hand down her, now dry, shirt. I leaned over and looked down the bar. I looked back at Jillian. This time she started the kiss that was still happening as my parents came in with the gust of wind. This is my week 2 writing prompt. I didn’t quite make it to my 2000 wordcount minimum but I got it done in one day. “If I wanted to work late, I would have applied at a Mini-mart. At least there might have been some activity.”, Ava said, as she thumped her purse on the desk. “Quit your bitching, or you might find yourself there, yet.”, Brie said. She tossed her hair and began to pack her homework to leave. Brie laughed. She knew full well that, Ava had only gotten the job to look smart on her resume. She and the others teased her all the time. Ava hadn’t realized that the library, being so close to the colleges, would have late hours some nights. The librarians rotated so you’d only have to close on week per month. Ava had gotten Dean to take her turn. His new girlfriend made him impervious to her charms. As soon as, Brie left, Ava pulled out her phone and settled in. Aside from the usual post-day class, pre-night class rush, the evening was quiet. She was in the breakroom, staring at the snack machine, when the counter bell dinged. She hid a sigh when she saw who it was. He was cute in a geeky way but, he had no social skills. She was just turning to tell him it wasn’t there. Something flew by his head. He turned to look where she was staring. “Has that poster of the bird always been over that water fountain?”, she asked. Ava spotted shadows out of the corner of her eye twice more but, didn’t see anything when she looked up from her phone. Around five, a boy came up to the counter. He looked about nine. He was dressed in black velvet shorts and jacket. “Are you in some kind of play?”, Ava asked. Shortly after bringing the boy to mythology area of the children’s department, it was time for her to walk the stacks and close up the third floor. Stepping off the elevator, she ducked as a large gray shape came at her. She looked as the bird flew off toward the research lab. She couldn’t leave it locked up here all night. There were policies about everything else, there would be one about this. She searched the whole floor. It was gone. She disabled the elevator and locked the door to the third=floor stairwell. The lights coming into the lobby seemed exceptionally bright. That poster was definitely new. Settling at the desk, she pulled out her phone. Her sister was supposed to be bringing her dinner. She hadn’t texted though. A fluttering made her look up. An owl was sitting on the counter, blinking at her. Carefully, she stood up. “Nice bird. Good bird.”, she said, slowly walking toward it. Just as she reached it, it flew into the stacks. She ran after it but again it was gone. She turned and ran into the little boy. Ava sighed and brought him to the mythology section on the second floor. As she was coming down, the bell dinged. There was Bryan again. He wouldn’t believe her about the owl. She hardly believed her. Once Bryan left she sat down to the dinner that was sitting on the desk. A text on her phone told her that her sister had been in a hurry. Before she could take a bite of her sandwich, someone cleared their throat. She looked up to at the most beautiful boy, she’d ever seen. He had a light accent that she couldn’t place. His eyes were a bright green and his long hair was so black that it shined in the light. He nodded and headed that way. Ava took her bite. She was halfway through her fries, when she heard shouting. An owl swooped low over her head and aimed for the door. It hit them hard enough to open them but, she’d just switched the security to night. Nobody could go in or out unless she hit the button. The owl fell back and turned to go the other way. Cute boy was right behind it. “Wait.”, She called as he disappeared into the stacks. Suddenly the bird flew out of a section, saw her and flew into a different one. Cute boy ran towards her. She simply pointed to where the bird had gone. He took off in that direction. She heard a crash and ran toward it. Cute boy was picking himself off a pile of books. The owl watched him from above. It looked like it was laughing at him. He just looked at the owl. Who shook its feathers and settled back down. Cute boy, who was also, apparently, crazy boy, started putting the books back on the cart. Ava kneeled down to help. The last part was directed to the bird. She decided to play along. Cute boy stood up and placed the last stack of books on the cart. He laughed. Ava started to lead him back towards the front. She wasn’t sure what to believe. She wasn’t ready to admit that fairies were real. She had to sit down. If the owl really was the curious boy from earlier, he’d follow. They’d gotten back to the front and she sat in one of the lobby chairs. “Your accent, it doesn’t sound Irish.” At least it didn’t sound like the Irish she’d heard on tv. The owl had flown out and perched on the counter again. He was listening intently. It really wasn’t the boy. Was it? Suddenly, the little boy, Ian, was standing next us. He curled up in the seat on the other side of his uncle. Ava considered her night. It had been the most exciting night, she’d had at work. She looked at cute boy. And held out her hand. He smiled and took it. Gantry stood on the overlook. The sheep in the field behind him, quiet in the early morning. This was the only place on the island where the view to the sea was clear. He raised his spyglass toward the calm waters. It had been nearly five years since his family had left him with the monks. They were supposed to have returned after four. He’d received word that his sister was finally on her way. He’d been up here every morning looking for a vessel. Today, his diligence was rewarded. The boat was merely a bobbing dot on the horizon. He closed the glass and slipped it into a pocket of his robes. The path down the mountain was long and not well maintained. He hadn’t traveled it since his arrival but, he still remembered it well. There was only a few weeks of the year that it was travelable. A few potential acolytes died each year. It was late in the season for young potentials, but he passed a few. They took in his robes with awe. The monks on this island were legendary. He was the only one going down. The two-day journey gave him time to reflect. His elder brother had left him here just after his fifteenth birthday. They had gotten such an early start that there had been no time for goodbyes. When he arrived at the western dock, the sun was lighting the water orange. His sister would arrive on the morning tide. He claimed one of the small cabins nearby. A few smoking chimneys and glowing windows showed a few were already occupied. He built a fire in his own and ate the small supper he’d packed. His sister was just a year older than him. When he left she was picking among large group of suitors. It wasn’t just that she was beautiful, she was kind and good-natured. They’d always had a good relationship. Unlike his brother who had turned everything into a contest. He woke long before the sun. the dock master was looking over the manifest of a small boat that had been rowwed in overnight. Gantry looked out into the small cove. A personal boat was making its way in. It was the same kind that had carried him all those years ago. This had to be his sister. He pulled out the spyglass. He would have recognized that figure anywhere. It took a bit before she saw him standing on the dock. Immediately she waved. Still the craft kept its unhurried pace. As it drew to the shore, workers appeared on the deck and prepared to tie up. The dock master stepped forward to receive the manifest. Gantry had seen him hold everyone on board the other vessel until the proper protocols had been followed. One look from the monk and the master stepped back. She was in front of him as soon as the gangplank was lowered. She seemed shorter than he remembered and she smelled like their mother. “You’re really here. You’re alright.”, she said, tears streaming down her face. She threw her arms around him. Short. She was so short. She stepped back but seemed reluctant to let go. We were getting looks from the dock master and the family that was saying goodbye to the boy that, had finally been allowed to get off the other boat. She took my hand and pulled me up the gangplank. There was a table with chairs set up on the deck. A man was putting out food. Another man sat in one of the chairs, already having a plate in front of him. I bowed as I would one of the elder monks. He had smile as warm as my sister’s. I knew she’d chosen well for herself. She sank down in the chair opposite her husband. I sat in the chair between them but faced her. Her husband reached across the table and handed her a handkerchief. I’d been taught by the monks to keep calm in any situation, but this was a lot to absorb. I remembered that too. Our brother had mentioned the encounter. He’d told me that was how father got the idea to send me here. The monks’ methods and teachings were very much a secret to outsiders. As was the true nature of what we did. My sister looked me up and down. Taking in the robes. She looped her arm through mine as we followed the dirt path. She told me of life in the manor and what had become of some of my old friends. I wasn’t sure what I’d have in common with any of them now. Fitting in wasn’t part of my new life plan. I had already decided to complete my training. First though, I get vengeance for my sister and our parents. The trip home was brief. Even late in the evening, I was unprepared for the large crowd at the harbor. The town had grown in the five years I’d spent with the same handful of monks. My sister must have noticed my discomfort. She stayed close as her husband waved down a handsome cab. Their home overlooked a park in the wealthy area of town. Watching out the window, I only recognized bits and pieces. A late supper was laid out for us at my sister’s house. The house itself was twice the size of the one we’d grown up in. It was an older home. The furniture was worn but still in good shape. My host noticed my curiosity. Soon after, my sister and her husband retired for the evening and I was led up to my room by a very nervous housekeeper. The room was large but simple. A bed, wardrobe, desk and dresser were the only furnishings. I placed my few toiletries on the dresser. The rest of mu belongings stayed in my satchel, which I hid behind my cloak, now hanging in the wardrobe. I woke with the sun but didn’t go down to breakfast right away. My window overlooked the park and I’d pulled out my spyglass. The park was occupied by laughing children and tired nannies. A young couple strolled by hand in hand, oblivious to everything but each other. I turned as my sister knocked at the door then stepped in. I smiled. If she only knew. She gave me a hug. Breakfast was simple but the garden was in bloom and full of bird song. I found the library and it was indeed quiet. The morning passed quickly and I slowly became aware of more activity in the rest of the house. I put the book down to see about some lunch and offer my help. Before I could, my sister’s husband stepped into the room and quietly closed the door. I went on guard. There were many things this acolyte could have said and I didn’t want to give anything away. My sister was indeed waiting in my room. Even after so long away, I knew the girl standing next to her. I smiled. She still took my breath away. Her sharp green eyes and serious nature brushed most the wrong way. I only saw her quick wit and wicked sense of humor as assets. “I do have other things to do right now. I am having a party in a few hours.”, She said with a smile. There were two sets, one formal and one casual. My sister watched me look them over. The pants and shirt fit perfectly. I put my robes in the wardrobe. I wouldn’t be needing them any time soon. I went downstairs and helped my sister with the party. Amelia had gone home to get ready. I’d gone up to get my vest and jacket on, when the first guests arrived. I slipped quietly among the crowd. I recognized a few of the guests; none seemed to know me. My sister swooped in and saved me from listening to the dullest conversations. She led me to the area that had become a dance floor. A tap at my shoulder revealed my sister’s husband and Amelia. There was a worried look on her face. I stepped away from my sister and held a hand out to Amelia. I watched her track his movements from the refreshments to the seating area. He was making the rounds. She looked at me, surprised. She laughed and rubbed her hand up my arm. Anyone looking our way, would certainly see it as a flirtation. I spotted him out of the corner of my eye. “Oh, he’s noticed me now.”, I said with a warm smile. She laughed and smiled back. I gave her one final nod and stepped away. She smiled and melted back into the crowd. I still hadn’t acknowledged him, but I could feel my brother’s eyes on me. Grabbing a drink, I headed for the doors. He was right behind me. I leaned against the wall and took a drink. He was not the boy I remembered. The years of stress and evil doing had etched into his face. My sister stepped out of the shadows. Her husband was at her back. My brother never took his eyes off me. His eyes blazed for a moment. We watched as my brother stormed out. The house was quiet as I slipped out, later. I was wearing the dark pants and shirt but, I had pulled on my cloak. It helped me blend into the shadows as I’d made my way across town. No one paid me any mind as I watched the house that I’d spent the first fourteen years of my life in. It was seeming asleep but, I could see my brother pacing upstairs. I’d known, that he’d have moved into my parents’ bedroom. Was he expecting me or just pacing with worry? I’d soon find out. I entered through the attic window with the broken lock. Passed, what I imagined to be everything that had been mine or my parents. I couldn’t stop. Thanks to my training, I didn’t even leave footprints. I stopped in front of the bedroom and pulled a vial of powder from my pocket. I carefully broke it open and rolled it underneath the door. There was an exaggerated thump. My brother was indeed expecting an attack. I waited. The real thump came a few minutes later. Still, I waited for another moment. All was quiet. He was sitting on the floor with his back against the bed. He’d kept my parents’ furniture but the personal touches that made the room theirs were gone. He looked at me as I stood over him. I didn’t see the pistol until I’d lifted him onto the bed. He must have dropped it and then landed on it. He finally spoke. I had him lying down propped up on the pillows. He eyed me angrily. I put the pistol well out of reach. It was time to reveal everything. I leaned down and put the tip of my knife under his chin. As I returned to my sister’s house, I saw the light on in another familiar window. Before I thought twice, I was knocking at it. Amelia was quite surprised to see me. “I always have.”, I said, right before I leaned in to kiss her. Even as a small child, I was never afraid of the dark. The first time I woke in a coffin, changed that. I opened my eyes in pitch black, the weight of it pressing down and the silence ringing in my ears. I screamed myself, hoarse. All these years later, I’m still not accustomed to it. This night, I startle awake and force myself to breath. I don’t need to but, the feeling is comforting. My coffin is carefully hidden in my family’s mausoleum. I was the last to be interred here. They say my death was a cursed one. I was one of many that caught the fever that summer. The illness was a good cover for what really happened. My coffin is in a secret room meant to hide family treasures. I have filled it with trinkets that were left for the dead. I am, after all, one of them. The little courtyard in front of my resting place has become a bit overgrown. The scent of jasmine and roses coats the entire area. The little statue of the crying angel is covered with vines. Recently, a gardener attempted to cut it back. He shouldn’t have been there when I woke. I feasted that night. I am pruning roses in the cool fall air. I hear them, teenagers dancing among the graves. My cemetery has always been a place to gather. I can usually find one among them for blood. I go and dance with them, just a pretty girl in a long dress. The music is loud and I do my best to find the rhythm. I am dancing with a girl. She smells of cigarettes and rum. She is not afraid of me, yet. I spin her around until we are both dizzy. I turn. I see him. He is standing in the moonlight, watching us. The one who brought me to this life. The girl is frightened now, but not of me. I let her go and she stumbles in her attempt to get away. I would get away too, if I could. He smiles and holds his hand out to me. I go to him and take it. Somehow, its warm. I am always cold. “Your hand is warm.”, I say. I look at anything but him. It will be alright, as long as, I don’t look at him. He is looking away too. He leads me away from the party. Finally, I can’t stand it. I steal a look at him. His dark hair is longer. His dark eyes seem darker, but he is the same handsome boy I remember. We had grown up together. The night before he went off to fight in the war, we snuck away. We kissed away each other’s fear. He promised to come back to me. His mother received a letter. He would never come home. Then one night, he came to my window. I was sick with fever and didn’t notice how cold he was. I let him in. He came every night to kiss away the fear. He told me that I wouldn’t die like the others. We could be together. I said yes to it all. He was my love. I died alone. No one would hold my hand at the end. They were too afraid of the fever. My lover was in his coffin for the day. Later, I read about my wake and funeral in the newspaper. I still have the clipping. Everyone came. I imagine that it was quite the affair. There was a picture of my mother and sister crying. It was nothing compared to their terror at my return. We are in my garden now. He never says it, but I think he likes it here. He sits on the bench and pulls me down next to him. We still don’t look at each other. We are quiet. He sighs. I know what he is going to say. I pick a rose and begin to pull at the petals. He is watching me, waiting for an answer. I should have stayed with my prey. I stand up. I have been thinking of this myself. There was a great panic when my last boy was found. I had left him alive, but he’d fallen asleep in the cold. I had to hide for days. Still, I have always been here. He sighs behind me. I turn. My beautiful boy looks so sad. I can’t help but go to him. I look down into his eyes. They are pleading with me. He pulls me onto his lap. I put my head onto his shoulder. This makes me a little sad. He laughs. I sit up and look at him. He slides his hand to cup my face. I wish he would kiss me. We hear voices and still. They don’t notice my garden and soon pass. For so long, no one came to this part of the graveyard. I know that some night or day, I will be discovered. My love is right. I am not safe here anymore. I do not want to think of that. My stomach drops. Suddenly, I’m back there. My mother is screaming. The priest is shouting about the devil. My sister has fainted. There are men with dogs and guns. He saw. He knows. He’d warned me not to go back. I hadn’t listened. I look at him. I’d sent him away. He’d come back, but he’d leave again. I know that staying is a lot for him to promise. Inside, I am screaming. I begin to shake as I find myself nodding my head to consent. He smiles, clearly relieved. I am quiet as we walk to gates. I have stood here myself many times. I want to be brave for him. We step onto the sidewalk. The cemetery was once outside of town, a lonely quiet place. Now we are surrounded by big buildings, lit with artificial light. I am biting my lip so hard there is blood. I can only nod. I hug his arm and hide my eyes, trusting him to guide me. It’s late and there aren’t a lot of people. Still, I feel as though I’m being stared at. We don’t walk far. I look up. He has stopped us in front of a brick building. “Yes.”, I say. It comes out in a whisper. I look around. I don’t recognize the items in many of the store windows. I’ve seen cars as they’ve driven through the cemetery but, I’ve never seen them move so fast. I step back until I’m against the wall. He leads me around the corner. We walk to a driveway that goes down under the building, I can see cars. He pulls me into the shadows. We wait as several people leave. Now that it is quiet, I am feeling braver. I still haven’t had blood. Footsteps echo through the dark. They are fast and purposeful. A woman stops at a car near us. I am certain that she will see us. She is distracted, looking behind her. I smell her fear. I am so hungry. She quickly gets in the car and drives away. A man comes from the same door that the woman did. He looks around. I recognize his phone from my cemetery victims. My love whispers in my ear. I look at the man in a new way. He is big and now he is angry. I don’t understand, but I agree to do as he says. I stay very still as my love slowly moves to stand in front of the man. He doesn’t notice. I can hear his conversation now. He puts his phone away and turns. He sees me. I don’t know what to do. I am afraid. He steps forward. Suddenly, my love is between us. His eyes are on the man, but his words are for me. The man is angry now. The man is nervous now. He looks at us differently. I can taste the man’s fear on my tongue. His heart is beating fast now. He motions to me. For the first time, we share a meal. It’s glorious. I am not afraid. Later, we are lying together in my coffin. “Aren’t sacrifices supposed to be virgins? I’m not one you know, a virgin.” Cyrus asked. Leon grabbed a folding chair out of his trunk. His large frame temporarily blocking the light. Of course Cyrus would have to be kidnapped by the captain of the wrestling team. Cyrus pulled at the ropes tying his hands together. One minute they’d been playing video games at Leon’s house, the next Cyrus was waking up in the back of Leon’s Dodge. Now he was sitting on the ground, leaning against the car. They were inexplicably in the parking lot of the movie theater. He couldn’t tell what time it was, but the theater was closed. A low fog was moving in. Cyrus’s dark hair flopped over his eyes as he struggled to get free. The ropes caught on the bolt holing the tire on. He wondered if he could work them off. It worked on t.v. all the time. 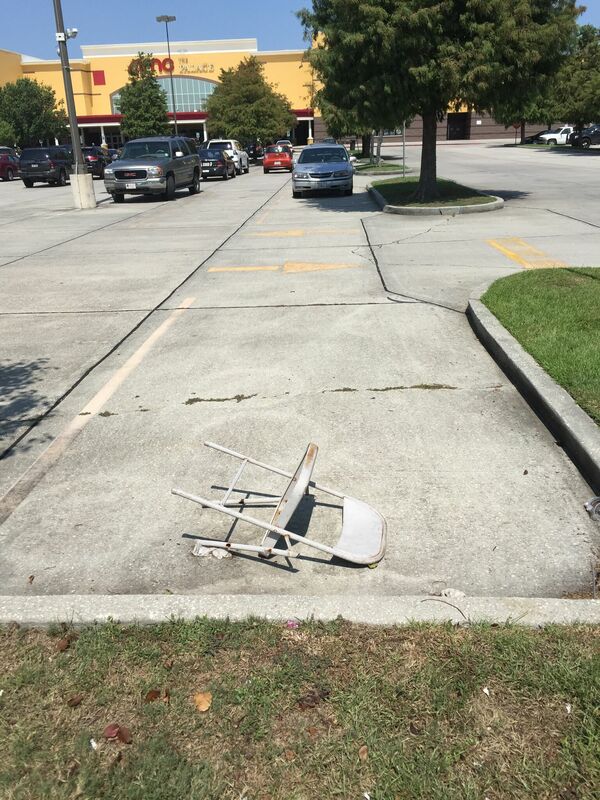 Leon set the chair up in the middle of the parking space next to them. He came over and stood in front of Cyrus. A car pulled into the spot on the other side of the car. It wasn’t until they came around that Cyrus could see who they were. His spirits rose. He knew both of the girls. Alyssa was tall and thin, a cheerleader. Katie was a bit shorter with red hair. She smiled at Cy, then frowned, as if realizing where they were. Katie’s face reddened making her freckles stand out. Cy was a sucker for freckles. Alyssa looked down at him and back to Leon. Cyrus had never liked that girl. Cyrus had finally managed to get the ropes loose but he wasn’t free of them yet. He needed to buy some time. Cy had managed to get the ropes off but he pretended they were still tied. Leon easily lifted Cyrus and maneuvered him onto the chair. Katie paced back and forth, looking worried. Leon nodded his head in agreement. He stepped back and admired his handy work. He didn’t noticed the ropes that had slipped almost completely off Cy’s wrists. The fog had gotten thicker. Cy knew that Lazlo was on his way. The fog had gotten so thick that Cyrus couldn’t see Leon’s car. He could feel the ground rumbling deep under them. Lazlo was on his way. It was too late now to try and escape. An argument had broke out among his captors. It seemed Katie liked him after all. At the very least, she didn’t to watch him get eaten by a giant gold lizard. The pavement began to separate where there were already cracks. Leon and the girls backed away. The chair lifted, throwing Cyrus to the ground. He sat up just as Lazlo made his appearance. His head lifted out of the ground, in front of them. Stepping out of the hole, he was as tall and long as a train car, but much wider. Somewhere in the fog his tail lashed shaking them. Up until now Cyrus had been confident in his boasting. Now he wasn’t sure. The giant lizard’s scales gleamed under the streetlights. He shook off the remaining pieces of asphalt and flicked his long tongue at Cyrus. Unsatisfied in him as a sacrifice, Lazlo turned to the others cowering against Leon’s car. He moved forward, crushing the chair that had somehow survived until now. Cyrus stood up and calmly walked around the god. He grabbed Katie’s arm and gently pulled her out of the way. All of Lazlo’s attention was on Leon. His tongue flicked out again and Alyssa screamed. Suddenly, he looked at her as if he’d made up his mind. Without any more thought he wrapped his tongue around her and pulled her into his mouth. Grunting once at Cyrus, he backed into the hole he’d come out of and disappeared. None of them moved for a few moments. It was Leon who spoke first. Cyrus sighed. He’d been enjoying holding Katie, but Leon was right. So the three of them pushed the heavy pieces of parking lot back together like a giant puzzle. By the time they were done there was no sign of the sacrifice. The folding chair lay broken in a space. Cyrus looked at him and put his arm across Katie’s shoulder. Taking the hint Leon nodded and pulled away. Katie took his hand. street. Her few year round neighbors were all still asleep or already off to work. build-up of sand. The drooping fence would soon be the only marker to the entrance. It was only after erasing all evidence of the summer people, that she sank onto the warm sand. The ocean sparkled in the sun. Gulls dove into the surf and flew away with the small fish they’d caught. dreaming of. The ritual complete, she could finally relax. beach would be her’s until next summer’s invasion.